I am a Lecturer in Economics. Before joining the Economics Discipline at NUI Galway in 2017, I was an Assistant Professor at the School of Agriculture and Food Science at University College Dublin. I hold an MSc in Agricultural Economics (Dipl.-Ing. Agr. Univ.) from the Technical University Munich-Weihenstephan and a PhD in Economics from NUI Galway. I am an agricultural economist and my research focuses on technology adoption, sustainability, agricultural extension services, animal welfare, productivity and competitiveness in the dairy sector. I explore topics such as the impact of agricultural extension on dairy sector expansion, productivity and environmental implications, or the role of peers in and implications of sustainable technology adoption. I am programme director of the MSc (Global Environmental Economics) and I teach subjects related to Econometrics, Agricultural and Food Economics, as well as Microeconomics, at undergraduate and postgraduate level. I am an Associate Editor of Renewable Agriculture and Food Systems and Honorary Secretary of the Agricultural Economics Society of Ireland. I am an Agricultural Economist, focusing on applied microeconomic topics. One of my programmes of research focuses on sustainable expansion of the Irish dairy sector. This includes the role and impact of extension services on expansion, productivity and environmental implications, as well as neighbourhood influences in (sustainable) technology adoption. My research interest in technology adoption began with exploring reasons for the low uptake rate of organic farming in Ireland and has expanded into research on understanding farmer behaviour and learning, as well as social and spatial influences. For example, one of my current research projects explores learning ability and receptiveness to expert and peer advice through laboratory experiments. 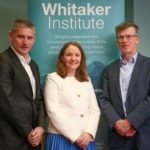 Other current projects include economic analyses of animal welfare and biosecurity in Irish agriculture, as well as labour input and constraints on Irish dairy farms. My research has been funded by national and international organisations, such as the Irish Research Council, Department of Agriculture, Food and the Marine, Teagasc and the OECD. A selection of current and recent externally funded projects is provided below and my Google Scholar profile for information on my research outputs can be accessed here. (2017) The Competitiveness of Irish Agriculture. (2015) A Review of the Financial Status of Irish Farms and Future Investment Requirements. (2014) Innovation in the Irish Agrifood Sector.